A table lamp conceived by Achille Castiglioni for the opening of the Flos showroom in Turin in 1972. Lampadina embodies its own name with brilliant simplicity. 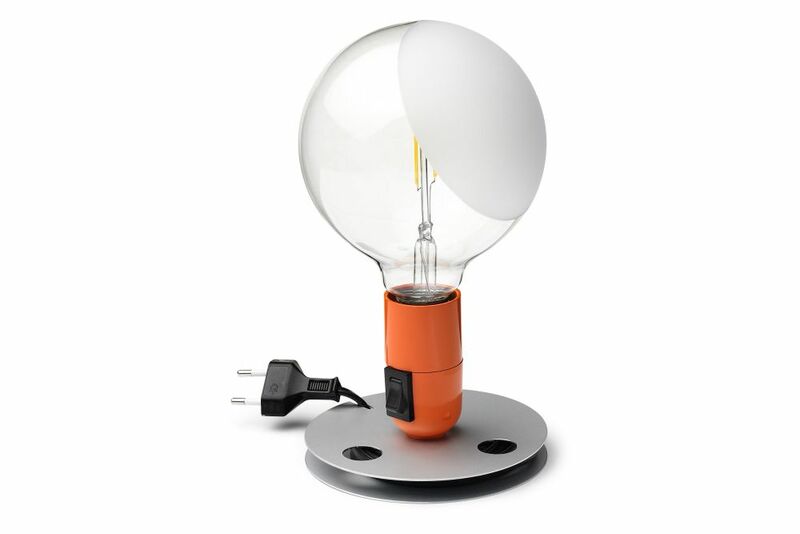 It takes the form of an oversize light bulb, satin finished in part to reduce reverberation, housed on a bulb holder with built-in switch and supported by a reel-like aluminium base which can be used to roll up excess power cord. Available in orange or black.